It has been an ongoing discussion in China for several years that which city has the most potential to become the Silicon Valley in the country. Since the national two sessions in March, the Guangdong-HK-Macau Bay Area has been a rather hot topic discussed by the public. Whether the Guangdong-HK-Macau Bay Area could become China’s Silicon Valley has become a heated agenda. Lee, and Macau University of Science and Technology’s vice president Pang Chuan. A parallel session themed Innovation Hub took place here. It’s easy to tell from the language used at this session that the participants were from a different background. “I am afraid you would have to listen to Hong Kong people speaking mandarin here,” Tony Chan, president of The Hong Kong University of Science and Technology, who was the session host, joked to the audience. There were six guests at the session: Pony Ma, who represented southern China’s business world, Peter Lee, represented Henderson, Hong Kong’s real estate and finance giant, and leaders of the two technology institutes of Hong Kong and Macau, representing the talent pool of the two special administrative regions. It’s fair to say that these six people represented the business world, governments, and the academia. The media-shy SF Express’s founder Wang Jiawei even had quite a few memorable comments on stage, recalling how he had made SF Express’s capitalization less ten percent of that of Tencent’s with one thought. Apart from the conversations at the session, this meeting also indicated a sign of alliance that would have a long-term and profound impact in the future. The forum session was hosted by China Development Institute Shenzhen and One Country Two Systems Research Institute, a sub session of Tencent’s first Guangdong-HK-Macau Bay Area Forum’s agenda. Three months ago, Pony MA handed in his proposal of building the world-class tech bay area, the Guangdong-HK-Macau Bay Area, to the two sessions. In March, Pony Ma attended the press conference of the two sessions, answering journalists’ questions. This Bay Area Forum is very different from Tencent’s previous product and strategic press conferences. 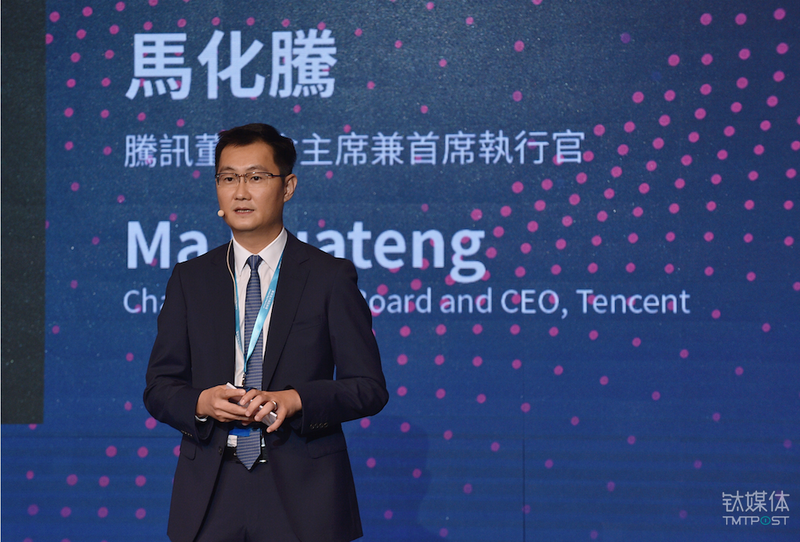 And Tencent was not the center of the spotlight at the conference hall, but rather a leading figure. But why choose to be a leader in this? Pony Ma has expressed the purpose of building the Guangdong-HK-Macau Bay Area on many occasions. Founded in 1998 in China’s tech hub Shenzhen, Tencent eventually went public in HK in 2004, now boasting a capitalization of over two trillion HK dollars. It’s probable that future return would be one of the incentives the catalyzes Tencent’s active moves in this field. On the other hand, this year China celebrates the 20th anniversary of Hong Kong’s return and would very likely witness the opening of the HK-Zhuhai-Macau bridge. 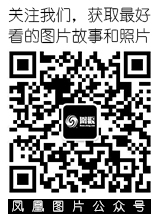 These developments will draw supporting policies from the government, which Tencent would seize to utilize. 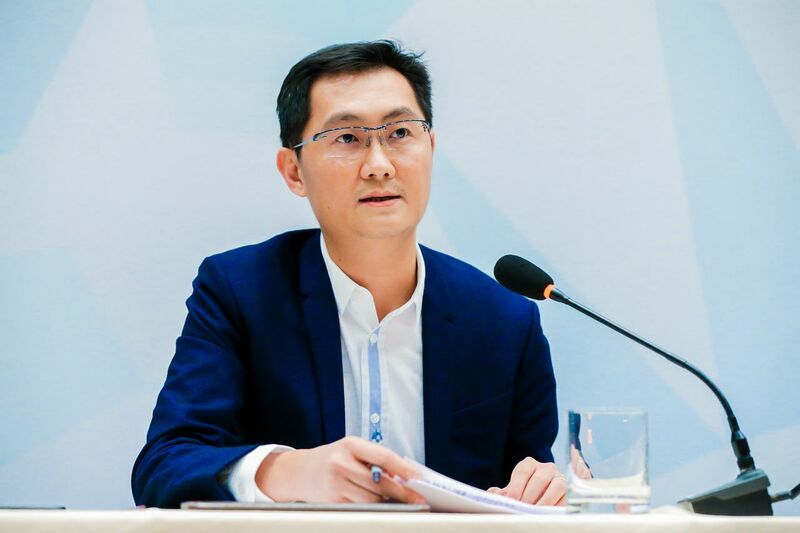 On one hand, Tencent is hoping to use the Internet industry’s ability to run trial and error fast and its rapid generation change to push the agenda forward. 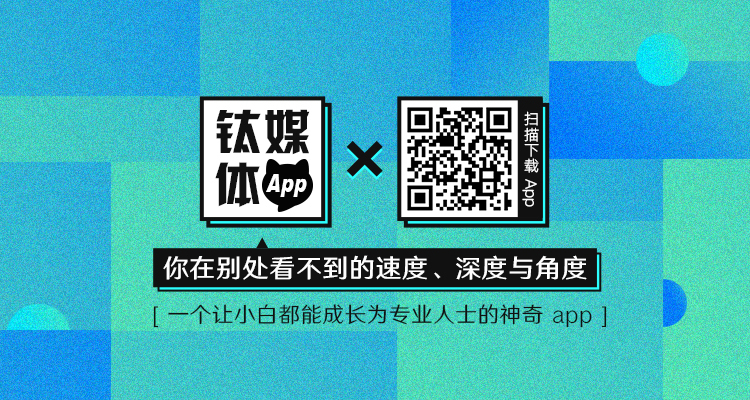 On the other hand, Tencent has the need to connect resources from all sides and find its exact role in the planning of the bay area and the execution of relevant policies. Bloomberg commented in a report in February that Shenzhen was China’s best response to the Silicon Valley. As a matter of fact, Shenzhen is always considered as the Chinese Silicon Valley in overseas media’s news reports. “Shenzhen is home to over 1000 active incubators. It’s a city with a complete and mature ecosystem of supply chains and appealing manufacturing advantages,” Bloomberg commented on Shenzhen. And these are only a small part of what this region has to offer. 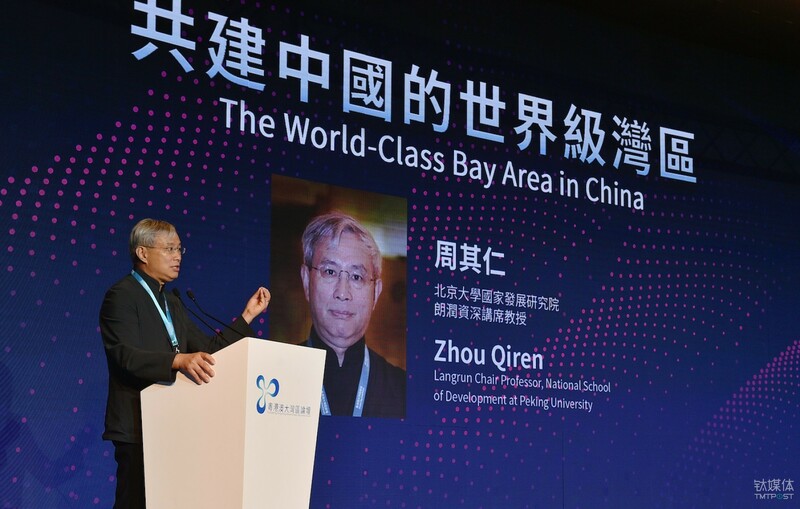 Pony Ma stated in his speech that the bay area, comprised of Guangdong, Hong Kong, and Macau, has quite a few advantages that cater to the future technology development. In early 2014, Shenzhen’s government report already showcased the early vision of the bay area concept. As the idea further develops, the original plan centering around Shenzhen now transforms into a more comprehensive blueprint that aims to build metropolitan that covers Guangzhou, Shenzhen, Hong Kong and Macau. Ultimately the concept became today’s blueprint for the nine cities and two SARs. From Ma’s perspective, Guangdong, Hong Kong and Macau have their own special advantages. Hong Kong is advanced in finance and service industry while Shenzhen is a leading figure in high tech and innovations. The rest of the pearl river delta region has competitive high-end and smart manufacturing power. These elements complete a whole industrial chain that a smart terminal company would need. “In the past two decades, the bay area nurtures a group of renowned enterprises such as Huawei, ZTE, SF Express, Gree and DJI etc. that are eading in their own respective industry, laying a solid foundation for the future,” Ma said in the opening speech. The drone giant DJI Pony Ma mentioned is a perfect example of how an innovative idea was able to take off due to the advantages the bay area has to offer. DJI originated a project from the Hong Kong University of Science and Technology that later settled in Shenzhen to explore the market of “flying cameras”. DJI utilizes the manufacturing advantages of the pearl river delta and has become a giant enterprise that takes 90% of the market share of the global consumer drone market, with branches in the U.S., Germany, Netherland and Japan and a staff of 8000 people. “DJI is actually the result of Shenzhen’s industrial upgrade that took place in two decades ago. At that time, Shenzhen teamed up with the Hong Kong University of Science and Technology and Peking University to build an academic, research and development base in the city, hoping to bring Hong Kong’s research to Shenzhen to make them into real products,” Li Zexiang, professor at the Hong Kong University of Science and Technology told TMTPost when recalling DJI’s early development. As the thesis advisor of DJI’s founder Wang Tao back in the Hong Kong University of Science and Technology, Li Zexiang is also the board chair of the DJI Corporation. As the Guangdong-HK-Macau Bay Area further develops, Li Zexiang is also trying to replicate DJI’s success to other enterprises. In July last year, Li Zexiang teamed up with Sequoia Capital’s global executive partner Shen Nanpeng and the University of Hong’s professor Chen Guanhua etc. to establish the youth entrepreneurship service system HONG KONG X to help more startup projects succeed in entering the market. 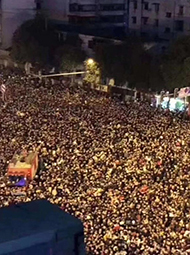 When talking about the advantages the Guangdong-HK-Macau Bay Area has compared with places like San Francisco, Li Zexiang stated that the Guangdong-HK-Macau Bay Area could be ten times faster than the Silicon Valley in terms of turning innovations into real products powered by the talents nurtured by Hong Kong’s higher education, the Pearl River Delta region’s manufacturing power, and the immense market demand of the mainland market. 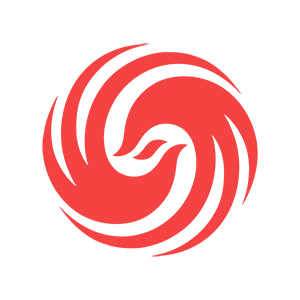 One year after the launch, HONG KONG X has incubated over 20 projects, covering fields ranging from health, biomedicine, robotics, and IoT etc., stimulating the entrepreneurial atmosphere among Hong Kong’s universities and drawing graduates that had formerly departed for the Silicon Valley for career pursuit back to Hong Kong. This in fact fits Tencent’s vision for the bay area: one of the Guangdong-HK-Macau Bay Area’s goals is to become a regional innovation center on the globe, making the bay area the first relay station for Chinese enterprises that are seeking internationalization. Besides that, the bay area serves to incentivize local companies to set up a regional center to influence the national market and build up their own talent pool there. The San Francisco Bay Area is a great example for the Guangdong-HK-Macau Bay Area to learn from. 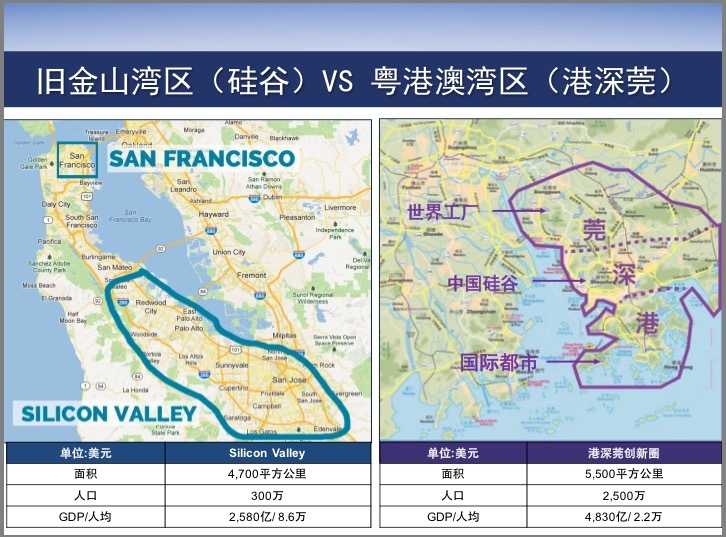 Compared with the Tokyo and New York Bay Area, the San Francisco Bay Area resembles to the Guangdong-HK-Macau Bay Area in size as well as economic role. Furthermore, both bay areas have similar cities. Guangzhou, capital of Guangdong province, is similar to San Francisco, while Shenzhen and Hong Kong are similar to Auckland and San Jose. Looking from the perspectives of GDP and population, the Guangdong-HK-Macau Bay Area has more fundamental advantages than the San Francisco Bay Area. According to open statistics, the population of the Guangdong-HK-Macau Bay Area (only counted Hong Kong, Shenzhen and Dongguan in) is around 25 million, boasting a total GDP amount of $483 billion, while the population of the San Francisco Bay Area (Silicon Valley) is around three million and generates a GDP amount of $258 billion. But if we look at these two areas from the perspective of GDP per capita, the Guangdong-HK-Macau Bay Area lags behind. The GDP per capital in the Silicon Valley is around $86,000 while the number in of the Guangdong-HK-Macau Bay Area (Hong Kong, Shenzhen and Dongguan) is around $22,000. It’s easy to tell that there are still issues in China’s economy waiting to be improved and solved. Guests at another forum session raised harsh questions regarding the obstacles in building the bay area. The building of a bay area inevitably correlates to the economic development of a region, the economic transformation process, the government’s open attitude, and even the upgrade of the education. The first obstacle in building the bay area is how to get local governments collaborate with each other and open up. 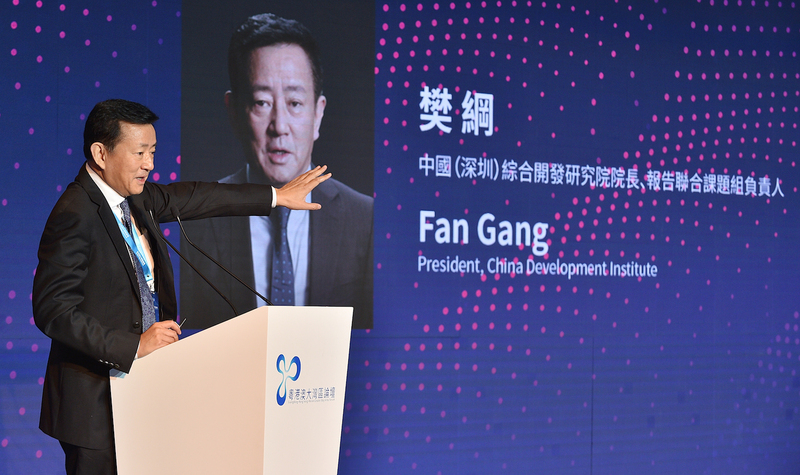 China Development Institute (Shenzhen)’s president Fan Gang released its Innovation Driven and Urban Transformation report that digs deeper into the issues mentioned above. The report covers two major transitions that the Chinese society is facing, which are from cities to metropolitan areas and from financial, service and manufacturing centers to technology center. The report studies the development strategy of the Guangdong-HK-Macau Bay Area systematically. For instance, the Guangdong-HK-Macau Bay Area plays a major role in the transition from traditional manufacturing to smart manufacturing. 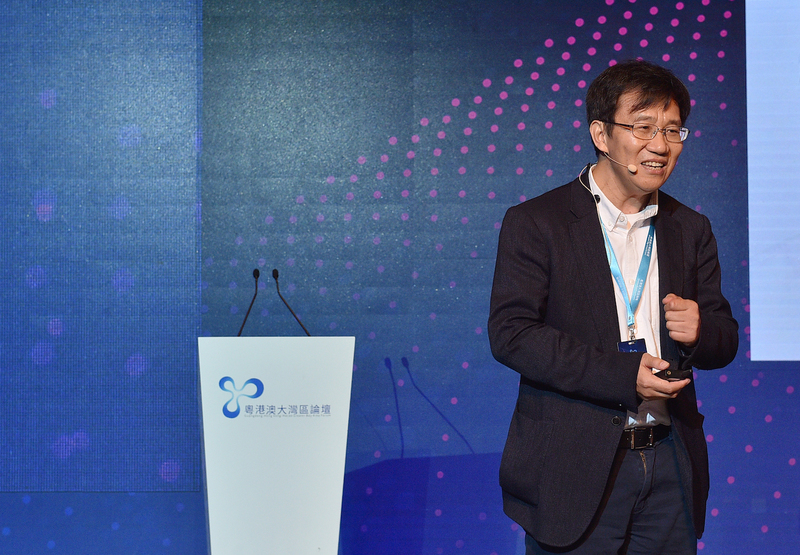 Li Zexiang stated at the forum that in the past three decades China and the Guangdong-HK-Macau Bay Area had been suffering from the lack of self-developed chips. 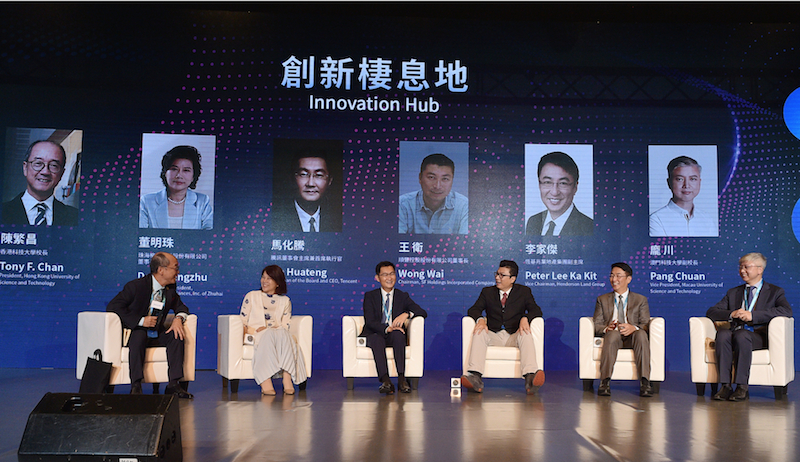 “Now we have the opportunity to redefine smart systems and solve this issue which has been around for almost 30 year,” Li said, commenting on the HK-Shenzhen-Dongguan Smart Chip Collaborative Innovation and Industrialization Center. Fan Gang on the other hand believes that transformation doesn’t mean getting rid of the financial center and manufacturing center status accumulated from years of development, but a change of course towards technological innovation and technology production. Besides economic transformation and government’s opening up, there is also another issue waiting to be solve: the education of the Guangdong-HK-Macau region. Hai Wen, vice president of Peking University’s university affair committee and president of the university’s HSBC Business School, gave out the following statistics: San Francisco Bay Area has over 80 universities serving a population of 7.6 million while the Guangdong-HK-Macau Bay Area has 120 million people and an university pool small than that of San Francisco. “To build a talent pool, first we have to develop the higher education. Besides public schools, private schools also matter. My opinion is that enterprises like Tencent and Huawei can establish their universities. Secondly, students shouldn’t be limited to one area of studies. They need to cover several fields. Thirdly, improvements should be made regarding the living conditions for talents, which include medical services, and living environments etc.,” Hai said in his speech. Whether it’s studying the development history of the bay area in San Francisco, Tokyo or New York, it’s easy to find that there were different driving forces that stimulated their development. For instance, the rise of the San Francisco Bay Area was backed by the American government’s support for NASA while the Tokyo Bay Area emerged due to the frequent population flow. However, every bay area shares a similar outlook when reached a certain stage. They all appear to be diverse and orderly communities with a high degree of freedom. The alliance of the region is a natural process. With the support of investment, the business sphere could be driven to push the process forward. But he startup scene is another story. It’s important to figure out how to let the residents in the bay area grow a respect for innovation. Letting the invisible hand to handle the market is the most difficult part of the whole process. “At present, the business serves venture capital. The only way of exit is to be sold to VC. This is something that I am worried about,” Hillhouse Capital Group’s founder Zhang Lei voiced his concern at the forum. From his perspective, the innovation-centric bay area must have a solid path to walk on, and the solid path is based on the progress of fundamental science and technology in the future, especially in the sense of transforming traditional industries with technologies or innovating the integration of traditional industries. So, what are the strategies to stimulate innovation? Zhou Qiren described building an innovative as brewing good soup. Firstly, the region must have world-class talent pool and resources. Secondly, continuous heat must be provided to catalyze all the ingredients in order to let the soup brew. In fact, Zhou’s idea is similar to that of the representatives from Tokyo and San Francisco bay area. 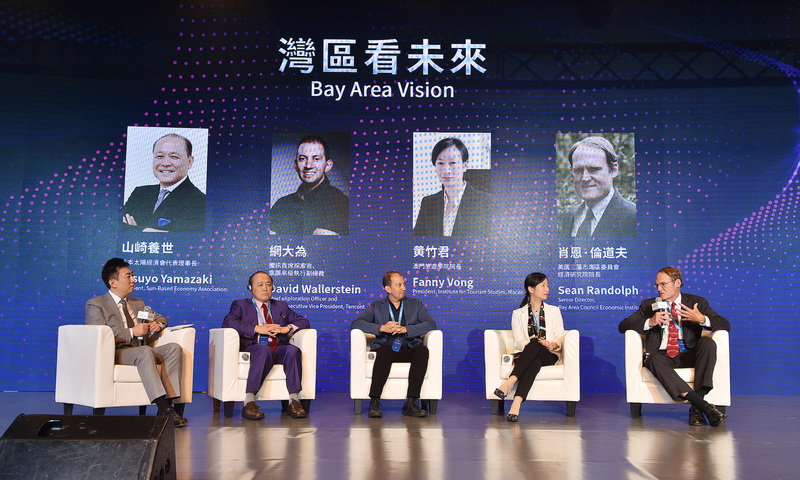 In the Bay Area’s Future session, the representatives from Tokyo and San Francisco bay area shared their opinions on the building of the bay area. During the session, Yasuyo Yamzaki, the counsel of Japan’s Ministry of Internal Affairs, renowned economist, and bay area planning expert, as well as, Sean Randolph, senior director of the Bay Area Council Economic Institute in San Francisco, all mentioned the ecosystem concept. Social changes like the aging society and immigration etc. have forced Japan’s bay area to bring about greater needs for innovation. Today’s China actually faces the same social issues Japan has experienced. From Sean Randolph’s view, to build a bay area ecosystem, first the region needs to drive innovations, capital and talents towards a cycle, and form a community that actively goes for a positive direction. To help build mutual understanding among young people from Guangdong, Hong Kong and Macau, Tencent also launched a project named Tencent Guangdong Hong Kong Macau Bay Area Youth Project in an attempt to build an internship platform for college students. Its aim is to support young people of these three places to engage in technological innovation through communication and practice. “I wish more enterprises will join us and hold summer camp or winter camp projects. Making good soup takes time and efforts,” Ma concluded.